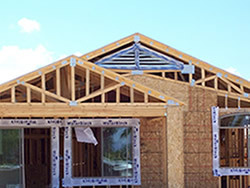 L & L Manufactured Components, Inc. is one of the leading suppliers of custom designed roof and floor trusses in Arizona. Since 1984, we service many of the largest residential and commercial builders in Tucson, Phoenix and the surrounding areas. Our company principals have over 47 combined years of roof and floor truss fabrication. From design to delivery, we are committed to quality, service, reliability, and performance. At L&L, we pride ourselves in operating on the cutting-edge of innovation. It’s what keeps us “one step ahead” in the manufacturing component industry. 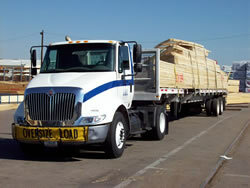 Located adjacent to the railroad tracks in Tucson, wood is delivered directly on to our 8-acre facility, eliminating the extra time and cost of trucking in lumber. Our talented design staff uses Mitek computer software to handle layout and engineering on all of our projects. Our knowledgeable production team provides prompt service, superior workmanship, and a quality product delivered on time. Once our product is on the job-site, we have customer service specialists to handle any issue that may occur.